Final call for what has been the overall most attractive award redemption chart in the industry–tomorrow the United Airlines MileagePlus award chart becomes much, much less valuable between nearly all regions. For more details about the changes, see this post and this one. If I book today and want to change later will I have to pay the new price? Our existing change process will apply. Changes to awards that require a change in date do not result in a change to the award price. Any other change will require an add/collect in miles and fees for changes or cancellations will still apply as per our existing policies. 1 Fee will be charged for any change to cabin, award type, carrier, date or time. All awards “reprice” when any change is made, thus I suspect United will have to manually store the old price even if just the date is changed. The point is, all of this is speculation and tomorrow will be a new day–we will have to wait and see what exactly happens when changes are made to existing reservations booked under the old rate. Thus, my advice is try to perfect your itinerary today. No use risking paying 40%-90% more when you can spend a few hours today planning for the best possible trip. Should I keep using my United Airlines credit card? In a word, no. The bulk of my spending this year will be on American Express for business and Chase Sapphire for personal spending. At least with those products your points can be transferred to more than a single airline. 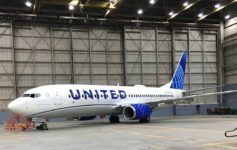 If you just travel domestically or in economy class around the world, the new award chart will not be that much different for you, but for the aficionados of international business and first class on Star Alliance partners, United miles become a terrible value in most markets, even without fuel surcharges. Thus, collecting too many eggs in the United basket does not make sense. I’ll have a post on the best programs for Star Alliance premium redemptions, but at least until the end of March that program is US Airways. Will my United miles still be valuable after the devaluation? Yes. Though the devaluation is severe and it will not make sense to travel in first class cabins on Star Alliance partners anymore, the new United award chart is at least competitive other airlines. Business class to Europe will be 115K r/t on United or 140K on Star partners. Even on the 115K United awards, you can still add flights within Europe on partner carriers in coach class for no extra miles. Some regions even go down in price, like Southeast Asia to Australia. But the changes overall are terrible–there is no other term to describe it. Good luck burning your miles and though we are very busy, the Award Expert team may still be able to assist with your last-minute United award booking. Next Article Old United MileagePlus Award Chart Extended Through 02 February 2014! Thanks for the reminder – about USAirways as well. Do you know Matt if routing to South Pacific can be done via Europe as it can with N. and S. Asia USAirways partner awards? @steve: It is indeed possible–I’ve done it several times. But the “rules” (loosely defined MPM limits) say no and I have many US Airways agents who will deny such routings. But, if you can keep it to four segments or even three (NA-EU-BKK/SYD-OZ) chances are it will be no problem. Hi Anzhelika, it will only be a $100 fee. That’s actually a good strategy to save $100–say you have a 240,000 award trip–you can change it to something like an inter-island Hawaii flight and pay $100 and lose 5K miles, getting all the taxes back less $2.50.